The Materials Project (www.materialsproject.org) – part of the broader Materials Genome Initiative - is an effort to compute the properties of all known inorganic materials and beyond, and offer that data to the community together with online analysis and design algorithms. The current release contains data derived from density functional theory (DFT) calculations for over 70,000 materials, with millions of searchable associated properties such as relaxed structure, electronic state, energy storage capability, aqueous and solid stability, and more. The software infrastructure enables thousands of calculations per week – enabling screening and predictions - for both novel solid as well as molecular species with target properties. Dissemination of the data as well as analyzed algorithms democratises first-principles methods and brings the accelerated materials design paradigm to the broader scientific community. The number of possible materials is practically infinite, while only a few hundred thousand (inorganic) materials are known to exist and the basic properties of only a few of them are systematically known. In order to speed up the identification and design of new and novel optimal materials for a desired property or process, strategies for quick and well-guided exploration of the materials space are highly needed. A desirable strategy would be to start from a large body of experimental or theoretical data, and by means of “big-data-analytics” methods, to identify yet unseen patterns or structures in the data. This leads to the identification of maps (or charts) of materials where different regions correspond to materials with different properties. The main challenge on building such maps is to find the appropriate descriptive parameters (called descriptors) that define these regions of interest. Here, I will present methods for the machine-aided identification of descriptors and materials maps applied to the metal/insulator classification, the prediction of novel 2D topological insulators, and of CO2 adsorption-energy and activation on metal-oxide surfaces. I will also describe the infrastructure to perform such analyses online, via the "Big-data-analytics toolkit" within the framework of the Novel-Materials-Discovery (NOMAD) Laboratory (nomad-coe.eu). 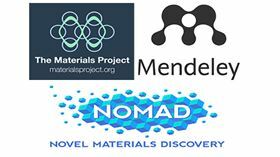 The NOMAD Lab builds on the Repository & Archive, a database of more than 44M total-energy calculations of materials and molecules, stored in a code-independent representation, and includes materials-based look-up tools such as the Encyclopedia.